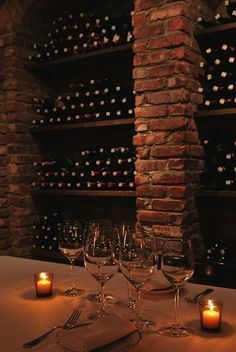 Let me kick off this post by saying that it really pisses me off that I don’t have the capability to contribute the amount of time necessary to hunt down an amazing wine cellar and then to pose hilariously for the pictures that I have in my head of what a life with a wine cellar and me would look like. Or, to take an adequate amount of time and care to make this blog what I think it could be-if given more time to edit, create and learn how to deal with Googlebots, metatags, etc. Stupid work. Ruins all of my fun. If only I didn’t have to earn a living! My love affair for wine and other delicious adult beverages and my battle of the bulge are well documented, and are the main reasons that I run/exercise (although not nearly enough as you can tell). Correlation? HMMMM. Well, add in the fact that I also LOVE food and go through long bouts of “Extreme Lazy” and you have the complete recipe for ME. How did I decide on the wine cellar post idea, you ask? Well, today in my email I discovered a “buy 3 get 3 FREE bottles of wine” coupon from Club W in my inbox. Which I have been trying desperately to ignore all morning…and then I see this label. I am a sucker for a great label. 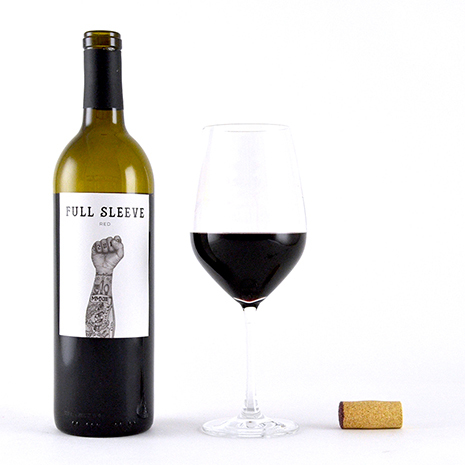 What self respecting girl can resist both wine AND tattoos? Luckily I was saved from myself by postal regulations. Apparently in order to get mail order wine, you must have an adult (or person over the age of 21 anyway) on site to sign for any alcoholic beverage deliveries from 8-5, Mon-Fri. I am fairly sure it would be frowned on to have that sent to work….Reasonably sure, anyway. So I have thus far declined the allure of delectable discount mail order wines. Which is why I can not foresee a wine seller in my immediate future. 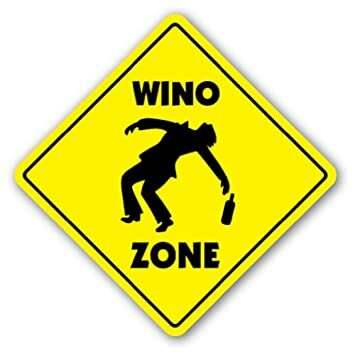 Remember when “Wino” was a term only used for vagrants? Not anymore! Thanks Amazon! I need this Eye chart for my cellar! While I applaud your self-restraint, I do want to point out that you can arrange for the post office nearest your place of employment hold the bottle for until you come to claim it (or 5 days whichever comes first). The wine they send you is pretty good too.